Moose Monday – It’s Official! Moose Monday started out as a fun way for me to wave to my friends from around the world while up in Alaska. It was here that I saw my very first moose. They are SO adorably cute. I will post all of my Moose shots here from now on and then share them on social. Past week’s pictures and clips will be up shortly. Stay tuned as I will continue to bring you a new Moose Monday pic every week. 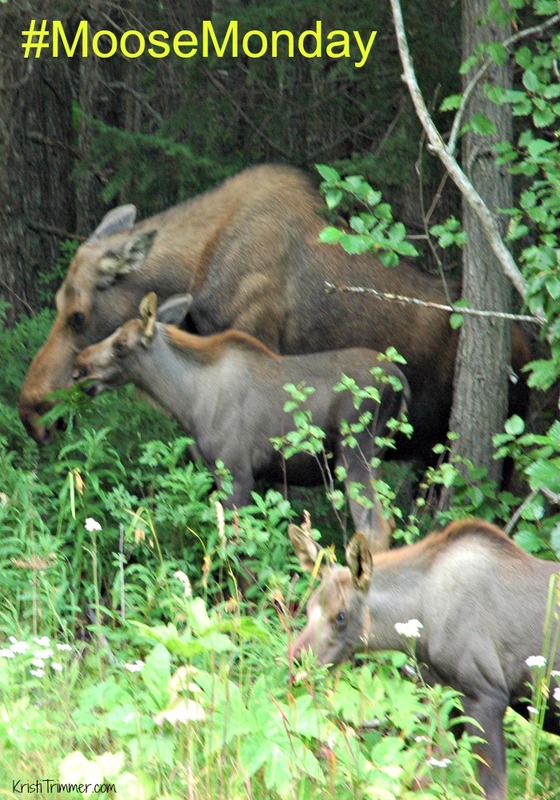 And if you’re lucky, a Moose video! But first, here is a NEW Moose Monday pic. Did you really think I wasn’t going to give you a new one? Ah, come on! 🙂 Kissy Kissy, Momma! This picture was taken on the side of the road in Girdwood, Alaska with a Nikon camera. Of course, now I want this. I mean, how could I not? ?